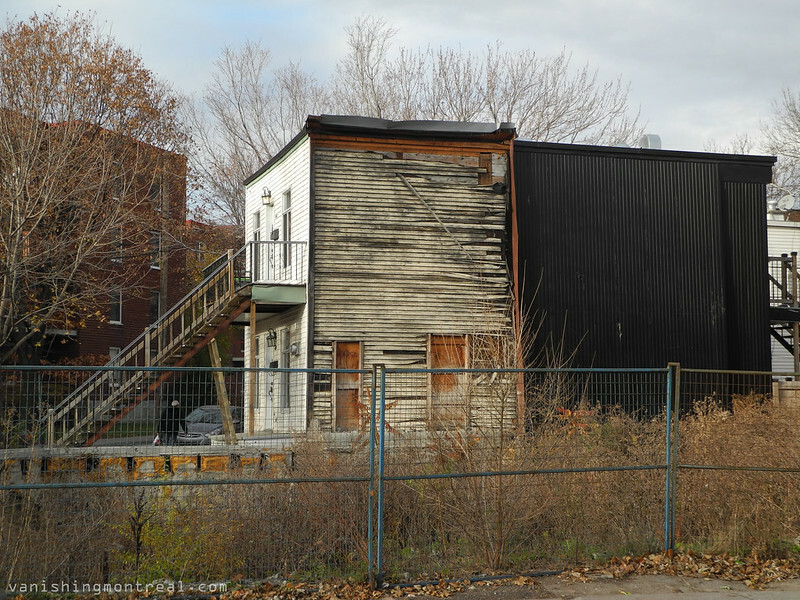 Very old duplex on Chemin de la Cote Saint-Paul in Saint-Henri. The apartments next to it were demolished, exposing the weathered side. It looks very fragile. How long before this one is demolished? Très vieux duplex sur le Chemin de la Côte Saint-Paul à Saint-Henri. Les appartements à côté ont été démolis, exposant le côté altéré de la paroi. Il semble très fragile. Combien de temps avant celui-ci est démoli? It looks like it may have already been vacant in Sept., 2012, when Google maps got the duplex and the two apartment buildings that were subsequently demolished (https://www.google.ca/maps/@45.4705065,-73.5930291,3a,47.9y,105.02h,90.35t/data=!3m6!1e1!3m4!1sPITV06BT9_Kzdo84kIwWyQ!2e0!7i13312!8i6656). Since one of the apartment buildings was right up against this duplex, the owners lost the use of the one long window and what looks like a door and window near the back. Wonder if the duplex owner got any compensation from the apartment building owner or if it was one of those "too bad, so sad" situations. This thing will have to come down, right? Wonder if the result will be one big condo building spanning the three or there will be a mix of buildings.